You belong to the employee engagement activities team in a company and planning the next corporate event falls onto you. Seems an interesting prospect but not necessarily an easy one as well. Time to hire a professional corporate event planner? Probably yes! Pro event planners offer a wide range of benefits including experience, networking and budgeting many of us might overlook in the course of struggling to keep a large number of things in check at the same time. Either it’s revising the headcount, or something as big as staging the environment or system for the CEO’s speech, event planners cater all. Therefore, let’s examine some additional benefits you can acquire on availing the services of a pro planner especially in a competitive city like New York. 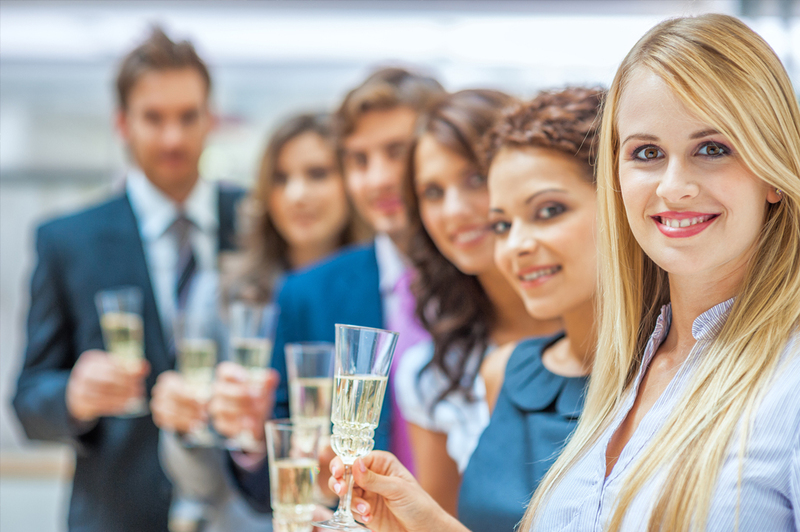 Corporate event planners are experienced personnel in bargaining with vendors and suppliers. They strive to get the best output from client’s investment. Due to their exceptional communication skills, purchasing power and strong relationships with hotels, suppliers, and vendors, they are able to grab an extent of discounts and other leverages which are not available for ordinary people. For instance, if your just-other-next-door neighbor is out in a hotel to book a large hall enough to cater around a couple hundred people for a few hours, he will find it very hard to negotiate a satisfactory deal with the hotel manager. In contrast to this if an event planner steps in, he will easily cut down the costs to a more acceptable rate. Events planners are the people capable of shifting your ideas into a realistic picture. Their experience, networking, and budgeting skills enables them to do the job. Consider the example of a large stage play productions house: an annual corporate event would contain the theme of stage plays and decorative preps, in short, something relevant to the nature of their business. For this client, a large floor would be at ease for everyone’s access rather than a typical theatre-styled hall where participation for everyone will be more restraint. The point is event planners are highly knowledgeable and acquire a working relationship with scenic design studios, a variety of décor experts, and tech companies. This blend is one of the other perfect reasons why you need to invest in hiring a pro long island event planner for your next business event. Beside the experience and technical expertise you get at the hands of an event planner, the last most important is the psychological aspect—Passion. Planning and managing an event is what a planner lives and eats all day. There is no doubt about the passion for their work to make each event as special and charming as possible. And when such level of passion comes naturally, success entails regardless of the event size, requirements, theme, or location. Do remember hiring an event planner or a top event management company is not a stressful or stretched process. But its rather taking the burden off your shoulders and letting the right people do the job best.